Qualcomm making the Snapdragon system-on-a-chip might have lost some traction after Tegra 2 beat it to the dual-core game and ended up on the majority of high-end phones with two cores, but now it has unveiled the details surrounding its Snapdragon S4 SoC, and it packs quite a muscle. Probably the biggest novelty in the S4 is the technology used to produce it. The new SoC is manufactured using 28nm process technology, a big improvement compared with the 45nm used in the S3. This allows Qualcomm to stuff more and smaller transistors on the chip, while making power consumption lower in part due to the lower temperatures it can keep. Actually, except for rival Texas Instruments, Qualcomm is the only company to have announced a new microarchitecture coming soon. The biggest competitor NVIDIA for example is pushing for four cores and clock speed, but it’s lagging behind when it comes to technology generations, and that seems to be the big swing factor. The application processor in the S4 is Krait, which promises a 60% increase in speeds over the familiar Scorpion CPU. Krait will support clock speeds ranging from 1.5GHz to 2.5GHz, but it will also play nice with dual-channel memory and will support asynchronous multiprocessing. The new processor is expected to be build, based on ARM’s Cortex-A9 architecture, but since Qualcomm has a license, it can customize the chip offering some improvements in power efficiency and the actual performance. The graphical processor in the S4 SoC is Adreno 225. Compared with the previous-gen Adreno 220 GPU, it will deliver an improvement of 50%. The Adreno 225 supports DirectX 9.3, OpenGL ES 1.1 and 2.0, which should open the way to some drool-worthy graphics. But it’s the multi-mode support of the new S4 family that truly excites us. Qualcomm claims that it has cramped up support for all major frequencies in the 700MHz to 2600MHz range. The S4 SoC will deliver the standard GSM, GPRS and EDGE, but most notably LTE with speeds up to 100Mbps, HSPA+ with up to 42Mbps downloads and EV-DO Rev. B, 1x Advanced, TD-SCDMA (for China). The spec sheet lists NFC support, but also GPS and GLONASS chips for navigation, and if you wonder what the latter is - so is the majority of the world, as the Russian satellite system is still in its infancy and is rarely (if ever) seen on mainstream devices. The new SoC is expected to arrive in the first half of 2012. How does that new S4 Snappy Dragon look to you? It will possibly be the first to 28nm SoC to ship, but will this be enough to give it an edge over the upcoming Tegra 3? 1H 2012... about the same time OMAP 5 and cortex A15s start rolling in. Looks like another qualcomm fail. 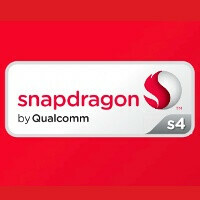 Snapdragon S4 will be to A15 as S3 was to A9. you need to do your research. Exynos 4212 will only start sampling Q4 2011, and arrive in commercial devices earliest Q1 2012 (very unlikely). 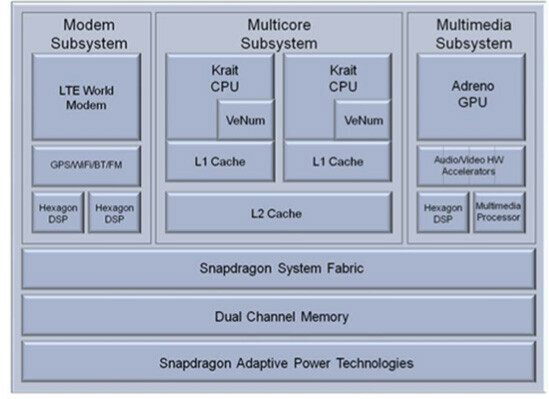 It will end up in the same situation as snapdragon S4, due to its A9 architecture. Samsung probably has a A15 one in the works though. Besides, OMAP 4 is already the reference SoC for ICS. The best we can hope for is the 4460, which is still a pretty strong AP in my opinion. and exactly how does the 4212 differ from the S4 dual core then? they are both sampling Q4 with expected release in Q1 2012. Other than the 4212 is going to be immensely more powerful than the S4, what do i need to do research on, exactly? The 4212 has already been announced in the SGS2-HD (which is the frikkin prime with buttons) and the SGS2-LTE. Also its supposed launch speed is 1.5ghz which is the rumored launch speed of the Nexus, as well as a 50% bump in 3D power over its already massive power... which was also a rumored Nexus spec Everything for ICS is rumor. There is very little facts about what the chipset will be in the phone. .if the OMAP is the ONLY reference soc, ect. There is also the possibility of 2 versions of the prime, since one is the nexus, and the other is the Droid Prime on VZW. If the VZW version really does have an exclusivity window, then that would be the likely candidate for the OMAP. If the nexus version is pushed back to late november/ early december, that raises the possibilities of the 4212 chip. The 4212 starts commercial sampling on Q4 to other possible manufacturers.. that does not however mean that its not already being stockpiled for samsung, who makes their chips first before sending allowing others to use them. The only fact is that there is ZERO facts on which chip is in the Nexus Prime or in the Droid Prime if they do in fact become separate handsets. It is all speculation. While the OMAP does look more likely, that does not mean its 100% either. You think samsung really wants the phone that launches a new age in Android to be powered by something other than their in house super powered chip set? The Nexus is not only a showcase of the super high end of Android, its also a showcase for the manufacturer that makes it. I'd bet my paycheck that samsung is doing everything they can to get an exynos in there. And I for one, hope they succeed. Just can't let this one go, can you? Yes, everything is rumor at the moment, but I think the chances are higher that the Prime will have an OMAP 4460 than the brand-new Exynos 4212. I'd rather be pleasantly surprised if you're right than let down if you're wrong. Yes I am thinking the same. If the Google Nexus Prime does have the new Exynos I will be very tempted, but I got at home a Samsung Galaxy S II Epic 4G Touch so maybe not. I am going to root that monster! So I will get my Exynos fix that way! The only thing the Google Nexus Prime has that I want will be that HD screen & the NFC chip. I am sure I will be able to hold out because my 1.6GHz dual-core HTC Evo 3D is just too much fun. I got a qHD screen & that will hold me over until the new HTC Evo comes out. Wow, I wish I had more than one phone to choose from. Anyhow, I'm more interested in the unique features the Prime is bringing to the table - SAMOLED HD 720p and ICS. I don't care which processor it packs as long as it's properly matched to the rest of the phone and performs smoothly. lol, no, i cant. I think its because i was soooooooooooooooo pissed off that the hercules came with a frikkin snapdragon instead of exynos. Had it been a normal SGS, i would have bought it already, rooted it, and been prepared for the ICS leak. So I hold on to hope :) And I do agree that the OMAP is much more likely (i said so in the previous post), but it is not hard to make the case for the exynos if you look at the generic "facts" that we have been presented over and over again with.. 1.5ghz processor, large bump in 3D processing power, ect. That could be said for the OMAP or the Exynos 4212. Add in the fact that the last samsung nexus, was a pure samsung phone, and the first nexus was pure HTC parts (they have a inbreedingly close relationship with Qualcomm), and it makes it even a little more likely as no samsung has shipped with a OMAP processor yet... and especially not on of their prime flagship style phones. They are all samsung parts, all the time. This is my hope and I will hold onto it until proven wrong.. lol. As long as it comes with at least an OMAP 1.5ghz, I will get it, though. 1X Advanced ... Verizon folks will like this VERY MUCH as this will give them SVDO (simultaneous voice and data) over 3G versus just LTE. A little late to the game now especially considering the pace Verizon is pushing LTE ... but for those areas that may take a while ... it could be a much desired feature. Has Verizon rolled out EVDO Rev.B or Advanced anywhere? I gathered they were skipping further 3G revisions in favor of widespread LTE. Maybe other countries can benefit from it though. I have never heard of VZW advancing their EVDO beyond its current state. As far as I know... and i used to work there... they have no intentions. In fact its quite the opposite, as soon as LTE covers their entire map (yes thats the goal), they are shutting off CDMA and going LTE for all voice and data. Of course, your probably looking at about 2016-2018 before they stop selling CDMA phones, then another couple of years before they turn it off as they wait for people's contracts to expire. very nice article i really enjoyed reading this.